SARD Breather Tank - Dezod Motorsports Inc - Home of the automotive performance enthusiast since 2002. The SARD Breather Tank, also known as an Air Separation Tank, will help remove air from the cooling system for a highly reliable cooling system. Air in the cooling system can cause hot spots on various engine components, which can cause great damage if left unattended. On a fully efficient cooling system, there is no presence of air in the system. 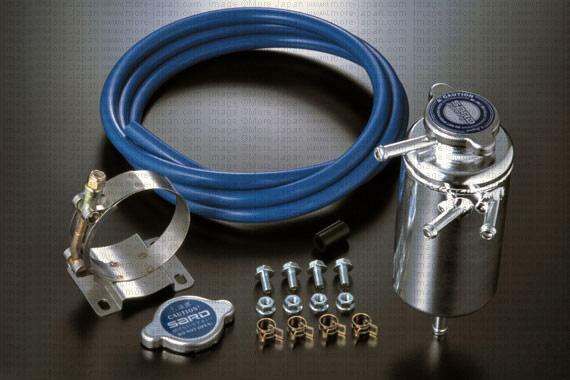 Some vehicle applications require the use of an additional lower hose adapter kit to utilize the benefits of the breather tank, and to provide simple bolt on installation.